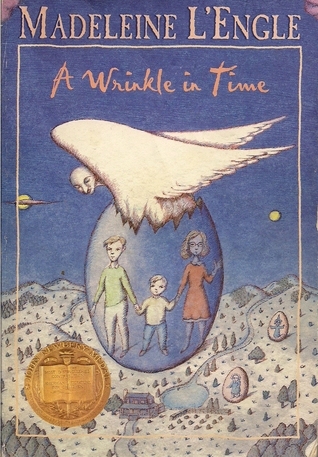 Join MoMath at Tween Primes, the MoMath book club for tweens and teens, on Sunday, January 7, to discuss A Wrinkle in Time by Madeleine L'Engle. When interplanetary evil threatens the universe, it’s up to 13-year old Meg Murry, her brilliant but odd younger brother Charles Wallace, and their friend Calvin O’Keefe to save the day. With the help of the mysterious Mrs. Whatsit and the powers of the extra-dimensional Tesseract, they travel to faraway planets and encounter alien creatures in the fight against a planet-destroying creeping darkness. Will their wits and friendship be enough to save them, their families, and their world? Start reading now ahead of the major motion picture premiering in March 2018, and join us for a discussion of higher dimensions and spacetime! Discuss this and more at the next Tween Primes, the MoMath book club for tweens and teens. Join the fun on Sunday, January 7, at 5:30 pm, with pizza to follow. Enjoy more time at MoMath! Unlimited, MoMath’s mix-n-mingle program for 6th through 9th, graders will be starting right after Tween Primes. Register for both events for just $20!